Carpet Cleaning in Eastleigh and Southampton. Carpet cleaning is one of the most popular cleaning services used by our customers. We provide all of our services within a 20 mile radius of Eastleigh. A reliable, affordable, high quality carpet cleaning service for homes and businesses in Eastleigh and Southampton. Steins Cleaning Services uses efficient carpet cleaning machinery that is operated by our trained carpet cleaners. Our work will leave you with fantastic results at unbeatable prices. 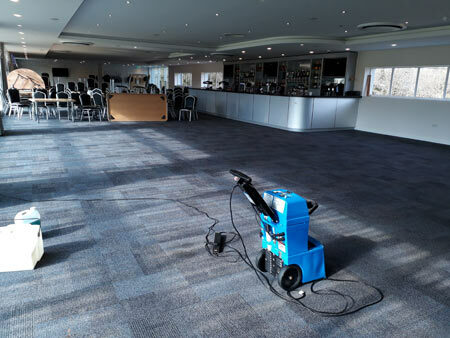 We've been in the carpet cleaning business for over 15 years so we're highly experienced in cleaning all types of premises - from a modest living room carpet to a large office or restaurant. We care about our planet and we never use toxic chemicals. Our Comet cleaning machine is a state of the art design and uses a natural hot water extraction method to remove dirt and bacteria. Our dry extraction procedure will leave your carpet completely dry in just 40 minutes. It's a highly specialised carpet cleaning service in Eastleigh that brings our customers back to us year after year. On this site you can read more about our home cleaning and our office cleaning services. You can also rely on us for end of tenancy cleaning. Trust us to clean your property ready for your new tenants to move in. Very polite and courteous and work was to a very good standard. Very pleased and would definitely recommend. I have already booked in for my new house.